In New York, if you operate a motor vehicle with a blood alcohol content between a blood-alcohol concentration (BAC) of .06%-.08% you can be charged with Driving While Ability Impaired (DWAI); if BAC is .08% or above you can be charged with Drivng While Intoxicated; and if BAC is .18% or above you can be charged with Aggravated Driving While Intoxicated. To determine your BAC, you may be asked to take a breathalyzer test. If you were recently charged with operating a vehicle while under the influence of alcohol after failing the New York breathalyzer test, it is of the utmost importance that you hire an experienced DWI attorney to aggressively protect your rights and help you fight this serious charge against you. In New York a police officer must have stopped you legally and must have reasonable suspicion that you have been operating a vehicle while under the influence of alcohol before asking you to take a breathalyzer test. The New York breathalyzer test process involves the police asking you to blow into a plastic tube attached to the breath-testing unit until asked to stop. The breathalyzer machine then analyzes the alcohol in your breath to determine your BAC. Depending on the breath-testing machine, the results will either print out or show up on the screen. Although testing over the legal limit on a breathalyzer may be used against you in a court of law, an experienced DWI attorney can properly investigate the accuracy of the test and the breathalyzer machine. At Astarita & Associates we will challenge the breathalyzer machine's reliability and investigate whether it has been properly maintained and calibrated. We will investigate whether the police officer was properly trained on how to administer a breath test. We will also challenge other factors that can lead to an inaccurate reading. For instance, certain medications and medical conditions (i.e., insulin, cough syrup, acid reflux, etc.) can inflate the test result, thus, rendering the test unreliable. In addition, gum, cough drops, and mints can contain alcohol that may also produce higher test results. The most important thing you can do after an arrest for DWI/DWAI is hire the right attorney for you. At Astarita & Associates we are are former prosecutors with the Suffolk County District Attorney's Office that specifically understand the prosecutorial process and can anticipate the prosecution's strategies. Our vast experience as DWI defense attorneys throughout the Suffolk County Courts allows us to properly investigate your case and determine the reliability of the breathalyzer test. 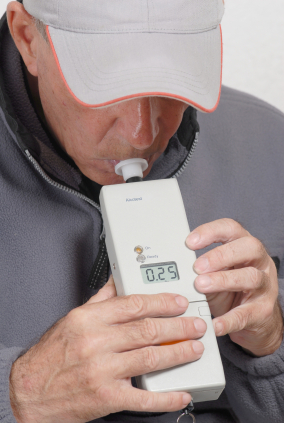 We are familiar with the weaknesses and problems with New York breathalyzer tests and can use this knowledge to protect your rights.